Tsukiji market is popular with foreign tourist as the biggest fish market in Japan. The area is divided into inner market, which is for traders purchasing, and outer market, where many shops exist for visitors. 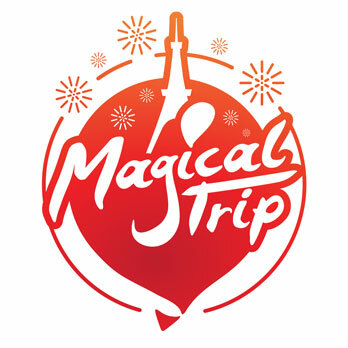 At inner area, the serious business is ongoing, so tourist should be careful not interrupt. 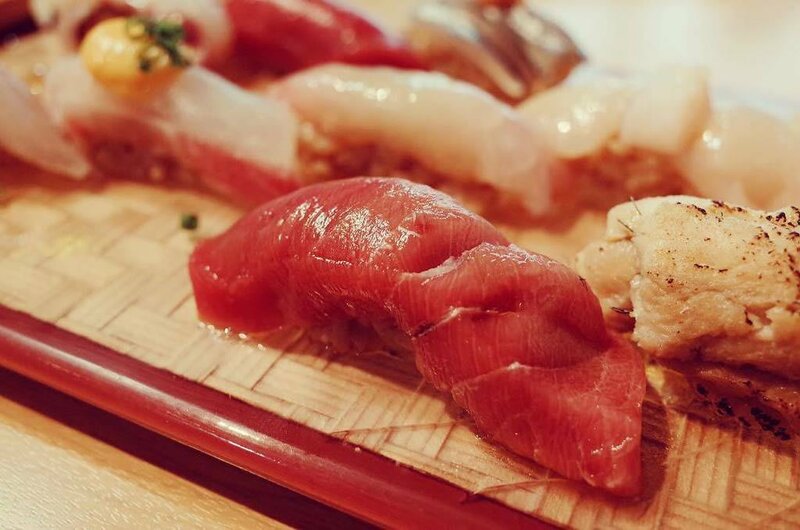 In this article, let’s introduce 5 selected Sushi restaurants at outer market area. Tsukiji Sushi Dai Honkan is recommended to enjoy Tsukiji Sushi casually. The fresh seafood, bought from Tsukiji market in that day are provided by craftsman with high technique. In addition, in order to let all people eating delicious sushi, inside of the restaurant has a very homely atmosphere, and removed formal hard atmosphere, so you can have a meal relaxed. 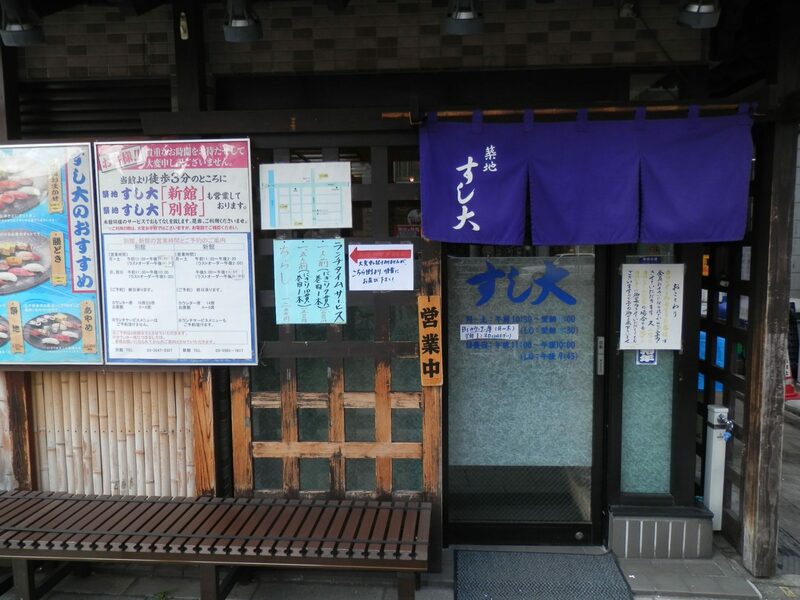 It is a popular restaurant where you can eat great sushi casually and people working at Tsukiji market also accept it. Shu-toku 2nd shop, is a well known sushi restaurant in Tsukiji. 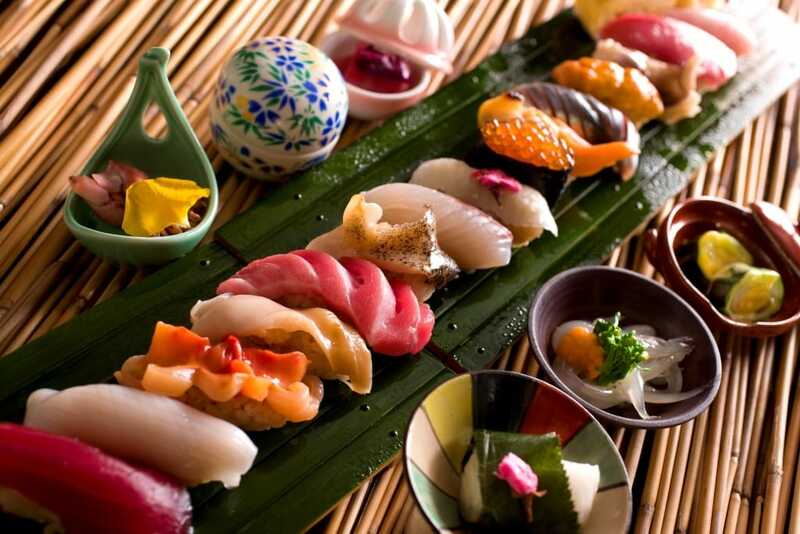 This restaurant has particularity in each sushi and all cook are relied on each chef. So the food is provided in a best condition everyday and every shop has each individual taste. To pull out the foods original taste, they use not soy source but salt mainly and have secret rice blending. Once you eat, you will realize the difference. It is worthwhile visiting when you come to Tsukiji. Tsukiji Shutoku Honten is a Tsukiji’s representative sushi restaurant which provides top class quality of sushi in Tsukiji. This restaurant is operated directly by the jobber of the long-established store which was established 400 years ago. So, they can offer high-class foods with low prices. The restaurant has only 10 seats, so it often has a line. Even thought waiting in line, this restaurant has a high reputation and worthwhile waiting. Needless to say about the quality of foods, the craftsmanship is excellent and you can’t eat sushi like this that much. 4.Eat excellent sushi for the beginner! 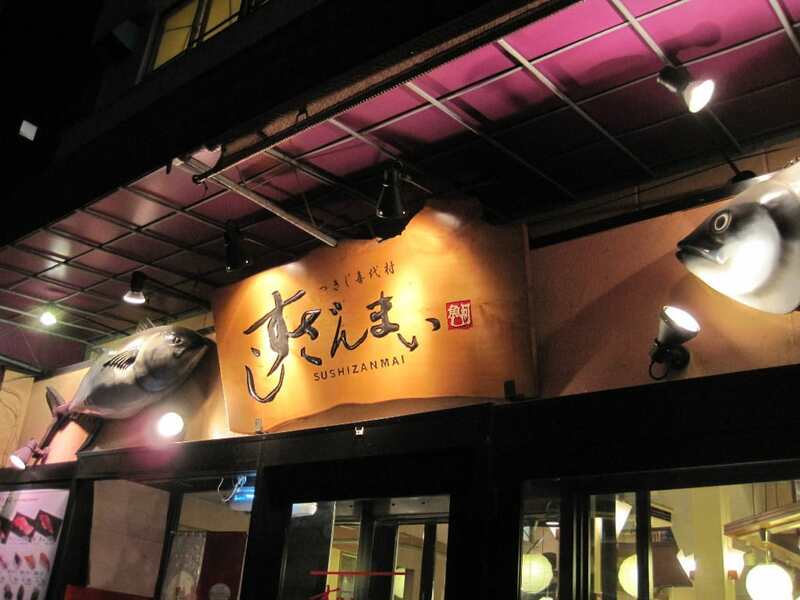 Sushi Zanmai is the famous sushi chain store, known widely in Japan. The Tsukiji head office is first shop and crowded with the visitor every day. There are many sushi restaurants difficult to enter for the beginner in Tsukiji outer market, but it is friendly and you can eat sushi reasonably. Don’t despise even though it is a chain store. You can eat quite high-level sushi using the fresh seafood from the Tsukiji market. Since it is open 24-hour, it is also good that you can visit in your favorite timing. 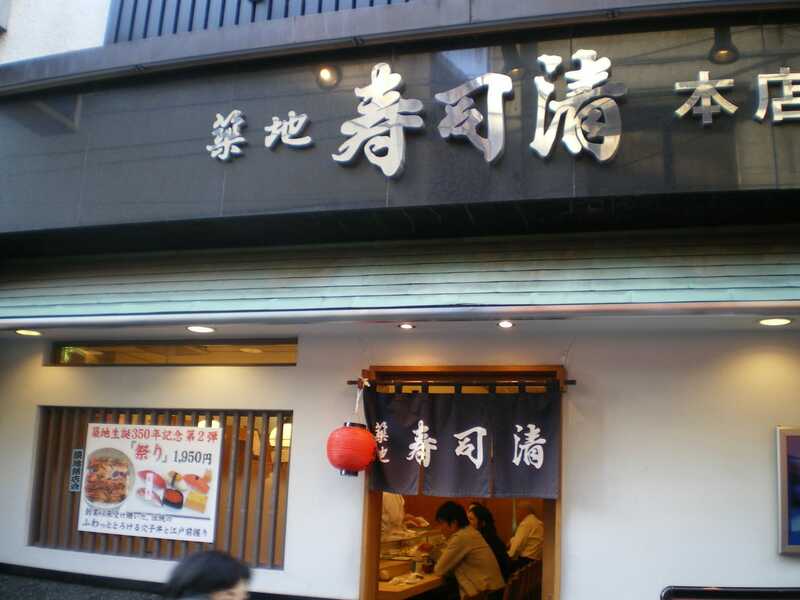 The long-established Sushi Sei was established 130 years ago, and the Tsukiji restaurant is the head office of sushi Sei. Even though it has a long history and famous sushi restaurant, inside and outside of a restaurant are molto clean, bright, been taken care of, and you can stay pleasantly. The staff’s service is great to the detail and comfortable. You can choose either a table seat or a counter seat. If you would like to watch making sushi directly, choose a counter seat. You can enjoy fresh seasonal fishes in a reasonable price and it is good that there menu is easy to understand. If you worry about restaurant selection in Tsukiji, please visit Tsukiji Sushi Sei Tsukiji head office. Tsukiji outer market’s opening hour is based on each shop’s policy. Same as inner market, some are closed on Sun. and holiday. Get the open information in advance and go to your favorite shop.